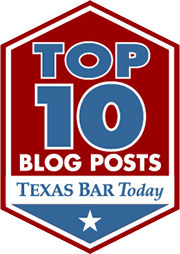 In Texas, many defendants are ordered to pay restitution as part of their sentence. But what happens if the parties can’t agree on the amount of restitution? For example, if Joe Defendant is guilty of assaulting Vince Victim, how much should Vince get for his medical bills and treatment? Or pain and suffering? What about physical therapy or the cost of gas for driving to the doctor’s office? In Texas a crime victim has a statutory right to restitution. See Tex.Code Crim.Proc.Ann. art. 42.037 (West 2018). This right has some important limits. (1) the restitution ordered must be only for the offense for which the defendant is criminally responsible; (2) the restitution must be only for the victim or victims of the offense for which the defendant is charged; and (3) the amount must be just and supported by a factual basis in the record. Burt v. State, 445 S.W.3d 752, 758 (Tex. Crim. App. 2014). If the parties can not agree on an amount of restitution then the trial court must resolve any disputes. Tex.Code Crim.Proc.Ann. art. 42.037(k). At a restitution hearing, the standard of proof is a preponderance of the evidence, that means a 50.01% showing via the evidence that an amount is proper.